Wet and dry L-class dust extractor. Suitable for processes involving mica, china clay, gypsum. Motor head design with flat top and tool deposit. Innovative hose storage solution with flexible rubber strap. Fleece filter bag allows you to pick up most debris without damaging the filter bag. Automatic On/Off function: machine activates when a connected power tool is used. 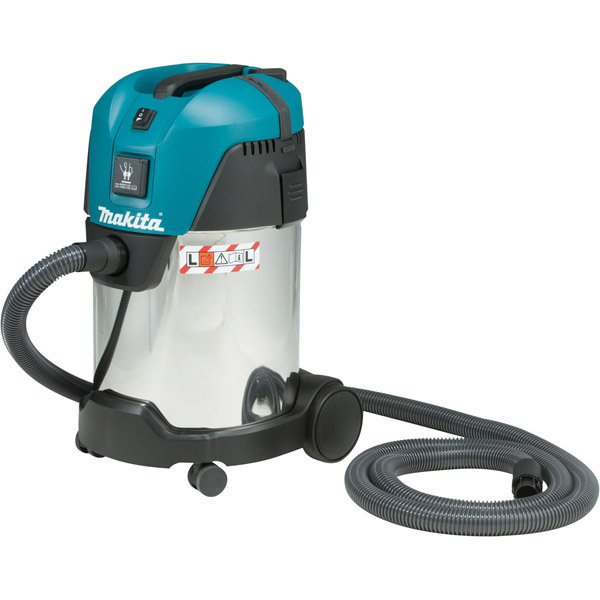 240V only.Integrated carry handle makes lifting and tilting of container easy and convenient.